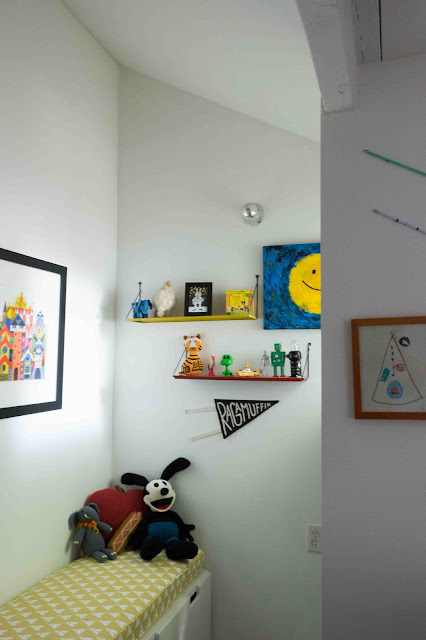 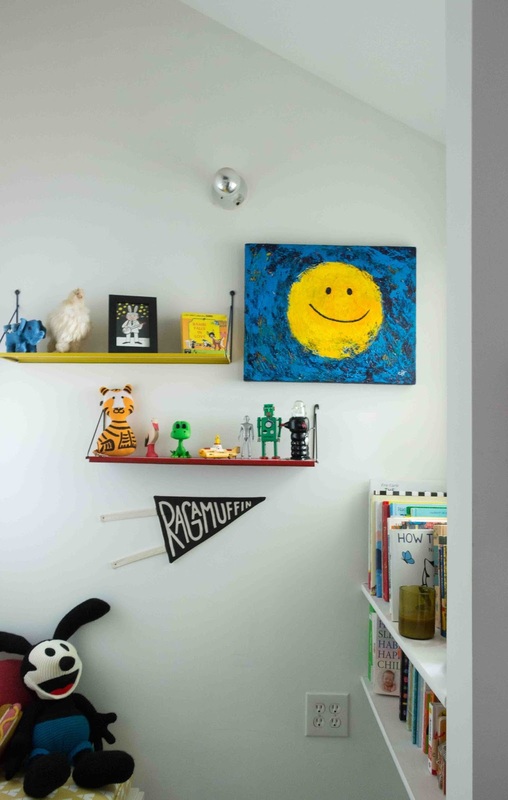 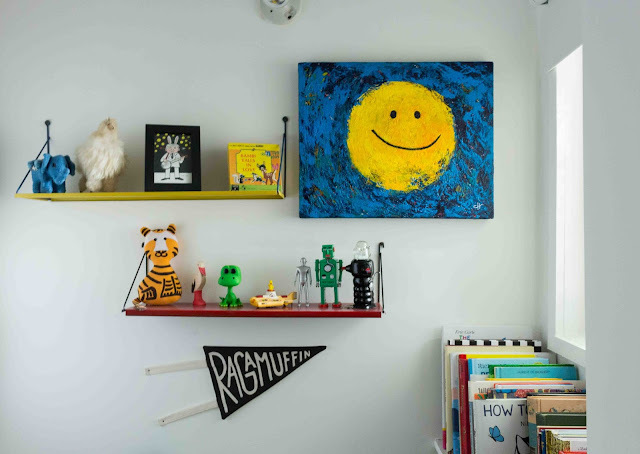 When planning our son’s nursery, I wanted to create a bright and cheerful space that felt youthful and boyish. 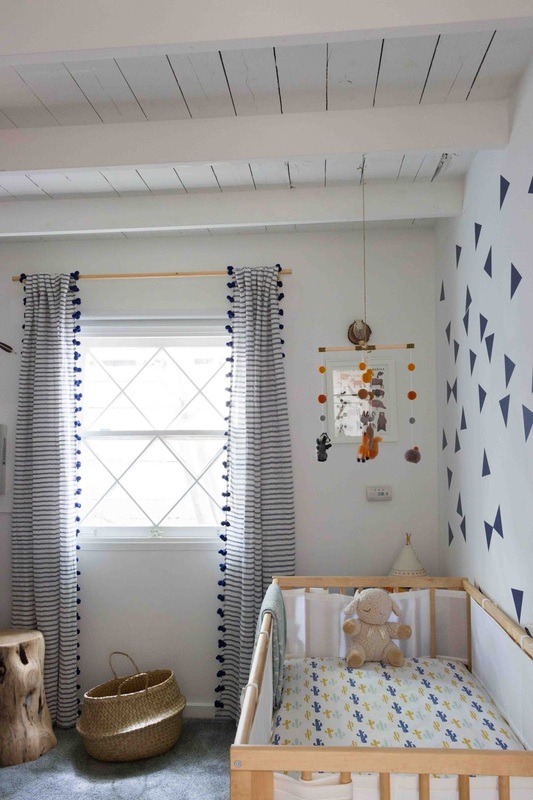 The initial inspiration came from a Mary Blair print we got at Disneyland, but after choosing his middle name, Wilder; the theme pivoted towards a natural woodland theme with animals and arrows. We are renting so the decor decisions needed to be easily changeable. 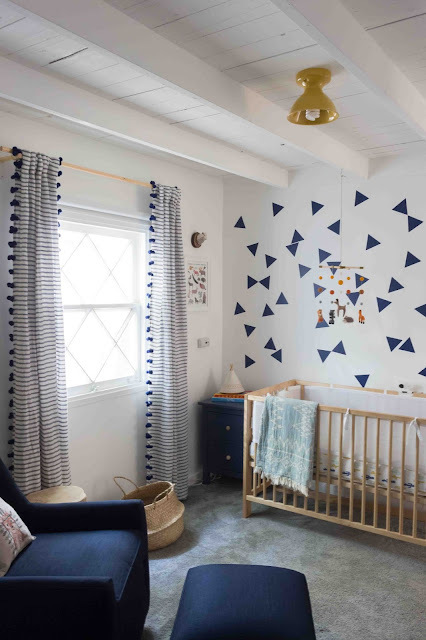 I created a bold statement wall behind the crib using removable decals. 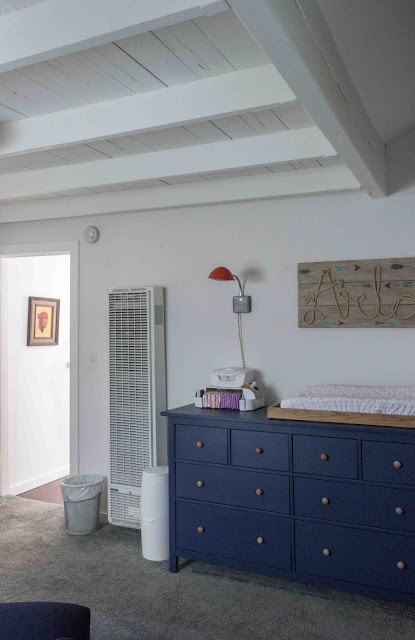 The nightstand and dresser were customized with wood knobs, to tie together the wood tones in the room. 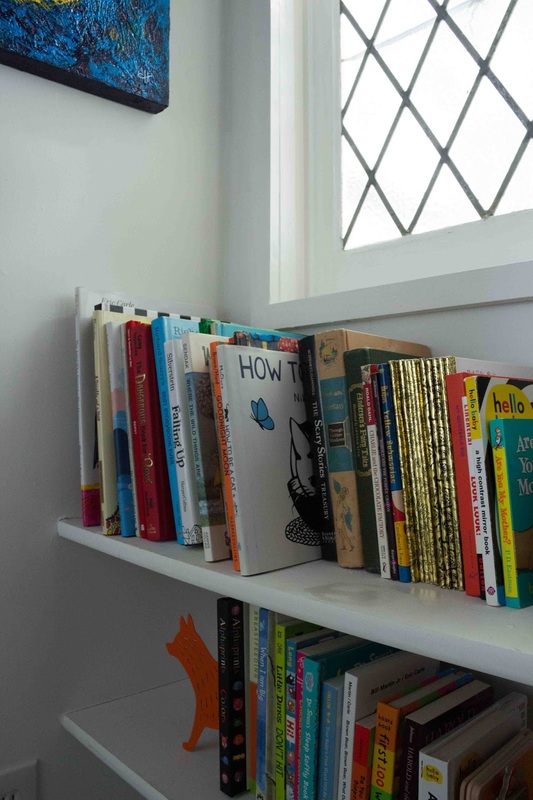 Teepees, arrows and woodland animals helped round out the theme, along with some of our favorite kid-like tchotchkes displayed on vintage steel shelves in the reading nook. 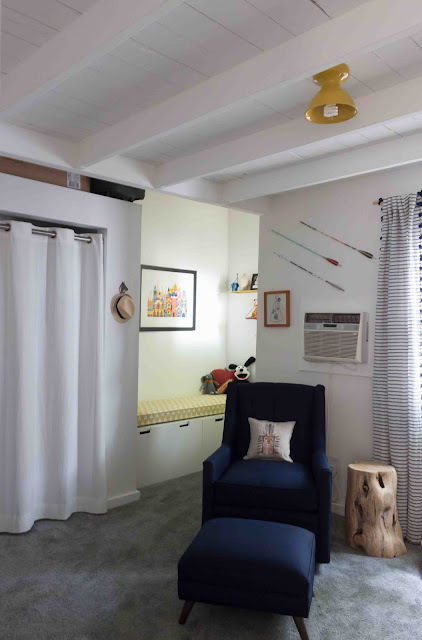 My favorite items are the turkish blanket hanging on the crib and the custom bench cushion. To top it all off, we updated the lighting fixtures with vintage inspired shades from Schoolhouse Electric, and got a customized piece from Etsy above the changing table with Arlo’s name spelled out in rope.